Hours after President Trump threatened North Korea with "fire and fury," the country responded with a threat to attack the U.S. protectorate of Guam to contain the U.S. bases there. "Such military maneuvers of the U.S. may provoke a dangerous conflict under the present extremely acute situation prevailing on the Korean peninsula," said the Korean People's Army in a statement to the state-run news agency KCNA. North Korea said U.S. bombers from Guam patrol the skies over South Korea "openly stage actual war drills and muscle-flexing in a bid to strike the strategic bases of the DPRK [Democratic People's Republic of Korea]." The U.S. and South Korea frequently conduct joint military exercises. The statement said the U.S. should "immediately stop its reckless military provocation against the state of the DPRK so that the latter would not be forced to make an unavoidable military choice." DPRK added it's "now carefully examining the operational plan for making an enveloping fire" in Guam using "medium-to-long-range strategic ballistic" missiles. In response, Madeleine Z. Bordallo, the non-voting U.S. Rep. from Guam, (D-Guam), called the attack reports "troubling" but she wrote that she is "confident that Guam remains safe and protected." Guam is home to Andersen Air Force Base. Meanwhile, the U.S. Pacific Air Forces stand ready as they tweeted out a message stating they've joined their counterparts from South Korea and Japanese air forces in sequenced bilateral missions. Earlier Tuesday, Mr. Trump warned "North Korea best not make any more threats to the United States." "They will be met with fire and fury like the world has never seen," Mr. Trump told reporters. 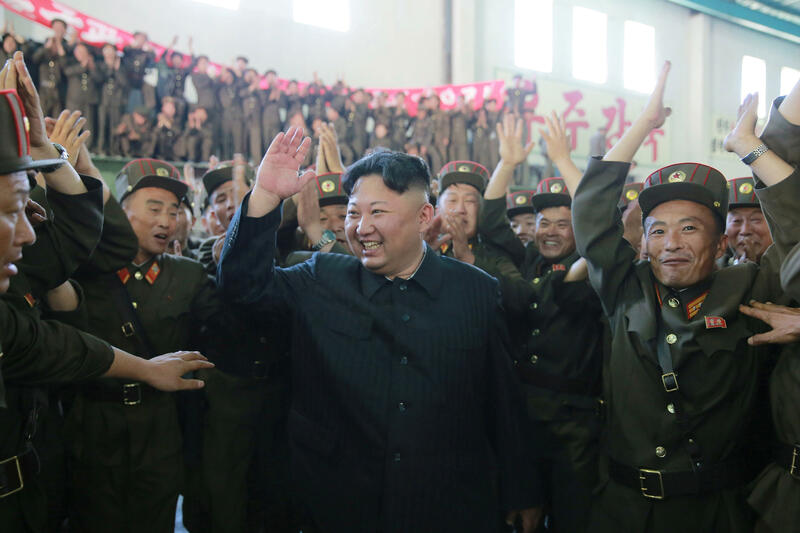 Kim Jong Un "has been very threatening -- beyond a normal statement. As I said, they will be met with fire, fury and frankly power the likes of which this world has never seen before." The threats came hours after a CBS News poll released Tuesday found nearly 3 in 4 Americans are uneasy about the possibility of a conflict with North Korea, and most are also uneasy about Mr. Trump's approach to the situation. Of those polled, 61 percent were uneasy about Mr. Trump's ability to handle the North Korean nuclear situation, while 35 percent were confident in his ability.